I plan my life out. I have to. I'm a mom of 6, a wife, a business owner, a daughter and sister... so I have to plan it out. I am trying to be proactive versus reactive. 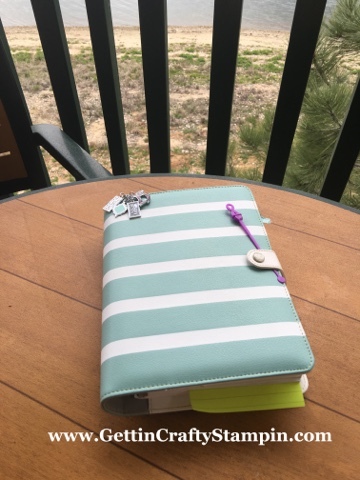 So on our recent vacation up to Big Bear Lake (sigh) I did bring my planner. 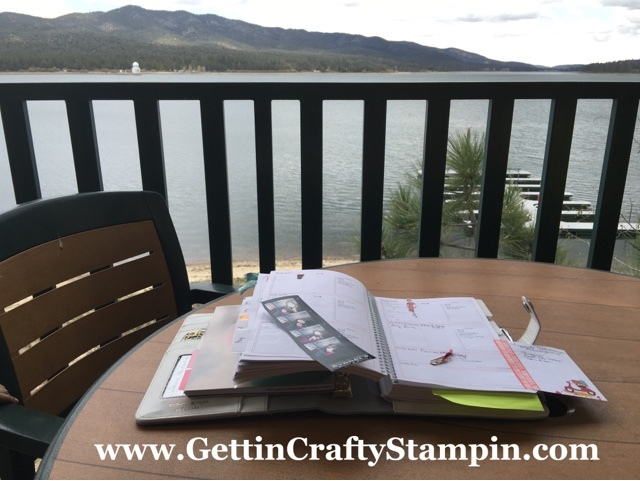 I used to to plan our Summer dates, to book an upcoming Crafting Retreat (shhh - news will come out soon enough!!). I couldn't pass up these views either!! This is the view from my deck and it just makes everything better. 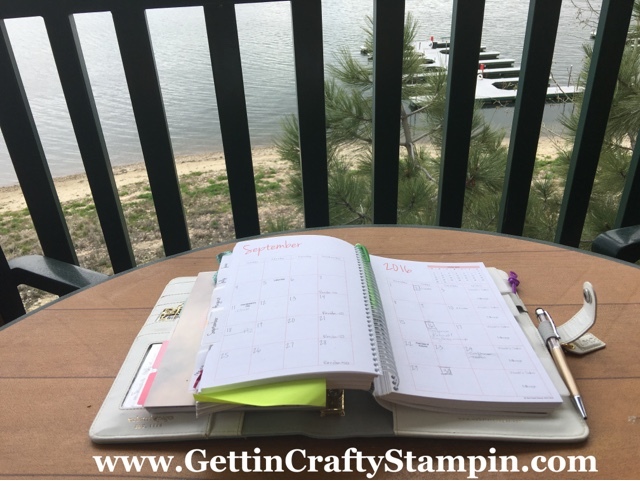 I've loved my business oriented weekly and monthly planner by The Printed Planner. 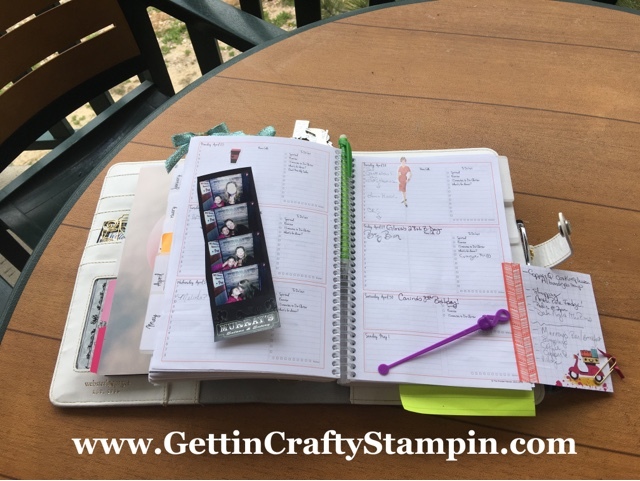 She creates planners for direct sales businesses and general businesses. The downfall was that it was spiral bound with plastic and not structured enough for me. I also needed a place for notes. Innnn walks in my A5 Color Crush Planner!! My Color Crush planner is super cute and it slips my The Printed Planner into one side. This snaps shut, is super cute and helps to hold my life and memories together! I love this striped baby! 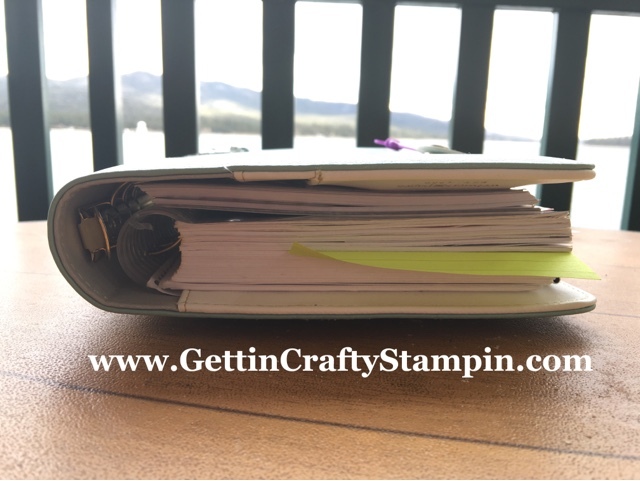 With fun charms from our Stampin' Up! leadership 25th Anniversary Special - and they both coordinated - I'm wearing accessories on my planner! Perfect Fit! Shut the front door! I love that they fit in together. I now can store notes in the cute pages from Webster's Color Crush, hold my pretty sparkling pen and my pencil all with cute paper clips and more. What a VIEW! I love planning. 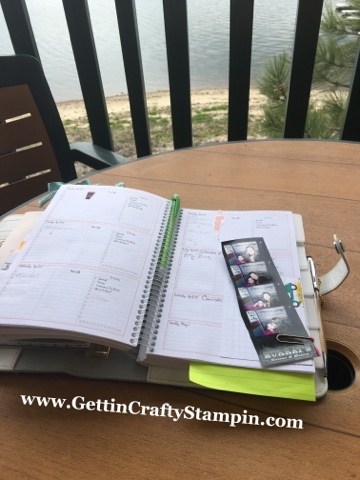 Like my card making classes, planning gives me some amazing connections with awesome ladies. Join Us for TWO Planner Events in ONE Weekend! We have a FUN Planner Stamp Night - for free, on May 13th. I'll be pulling out my planner themed stamp sets and rotary stamp so we can have a blast creating and decorating! 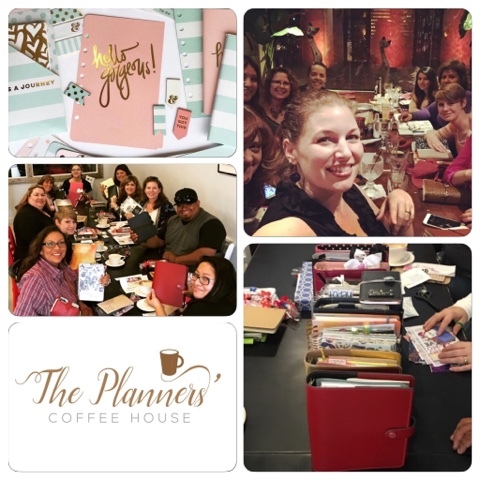 Then join us for another Planner Meet Up coming up!! CLICK HERE to RSVP for this Free Event (you just need to purchase food and/drinks to attend).